The rich get richer, and the world gets poorer. Packed with charts and graphs and not for the numerically faint of heart. 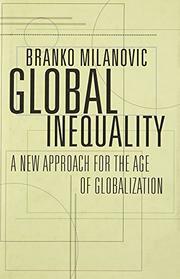 For those versed in economics, however, Milanovic provides an illuminating analysis.